This above video clip features an excerpt from an interview with former Calgary Flame Legend and 1989 Selke Trophy finalist Colin Patterson. 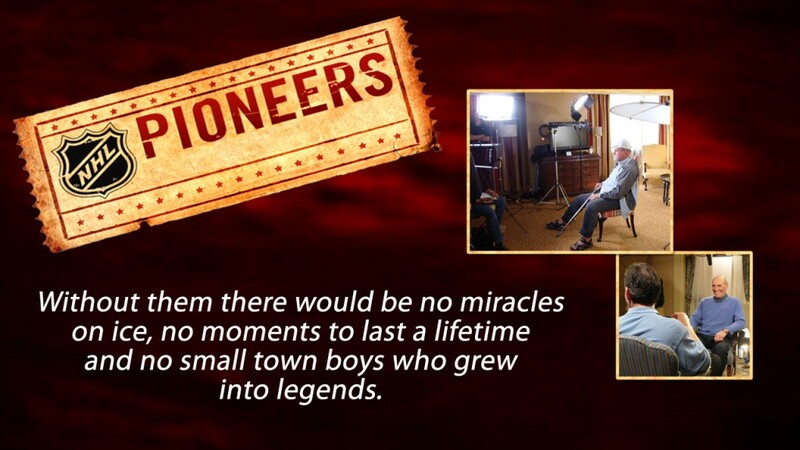 Blomeley TransMedia in partnership with the NHL Alumni, and the National Hockey League, have developed the highly rated biography-history series ‘Pioneers‘ into a multi-platform media franchise. Pioneers will soon to be seen on international broadcast networks, mobile devices, online, and in print.